Our bags have arrived so don’t forget to come in and grab one. £2.00 each. 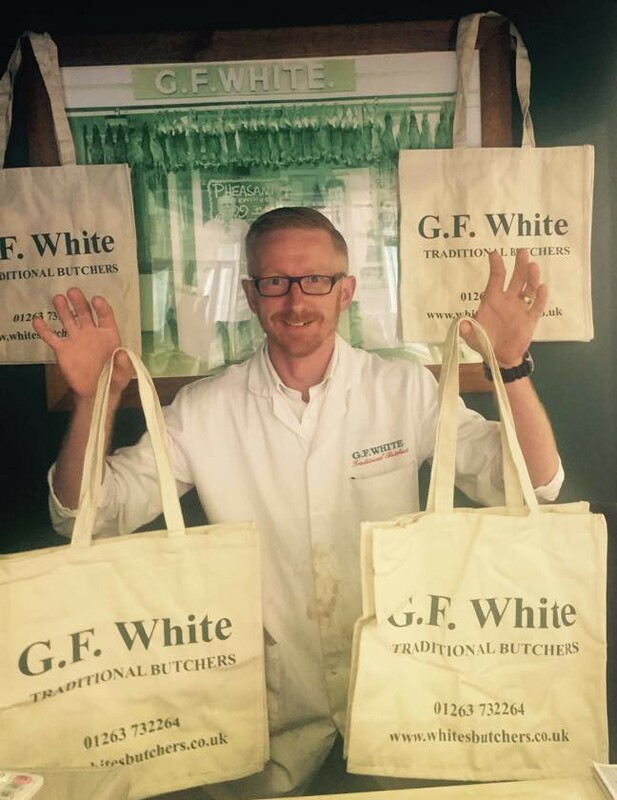 Where is the strangest place you take your G.F. White Butchers Bag for Life? You could win £25 worth of meat! Share to all of your friends let them join in the fun.